Death floats by with hotpants. 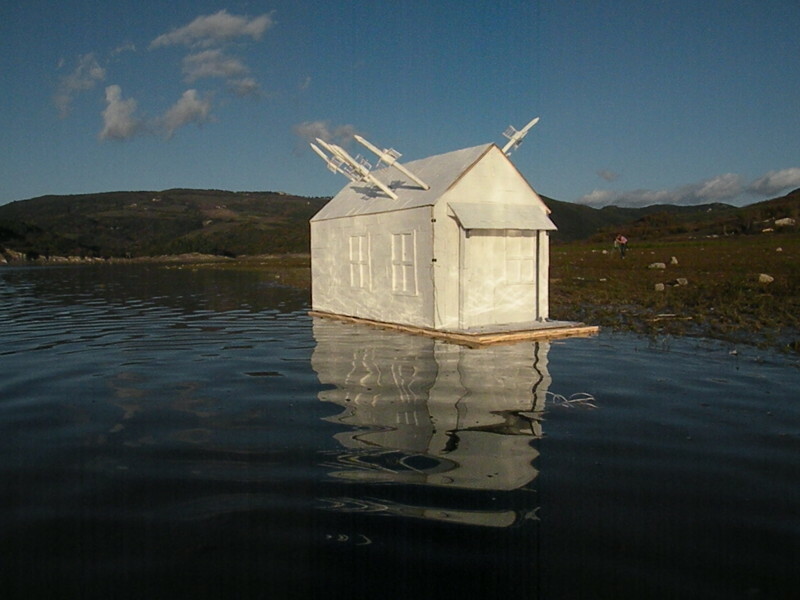 A sculpture and performance made after re-reading Huckleberry Finn and being haunted by the scene where Huck sees a shotgun shack float by him on the Mississippi and his father may or may not be dead inside. 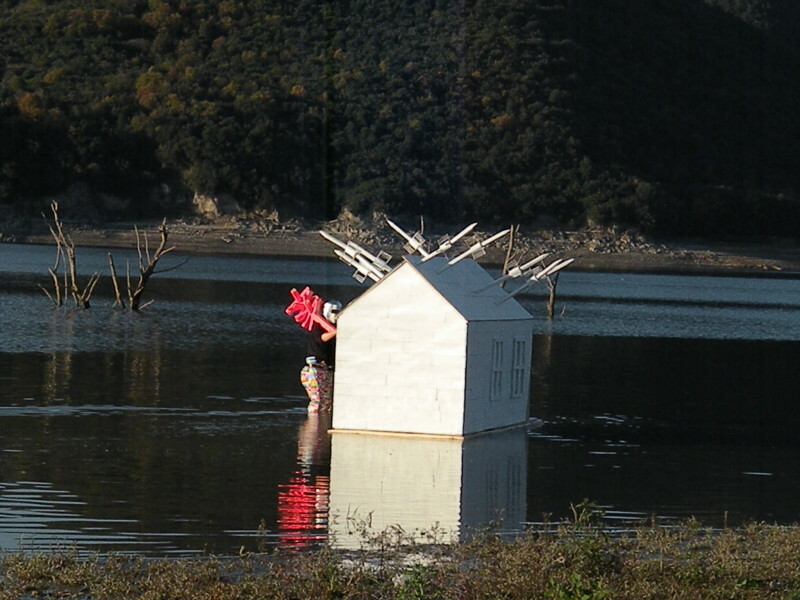 Materials for this project are scavenged from an Italian supermarket in Umbria, Italy and the shotgun shack was pulled down the Tiber river. The shack features cardboard replicas of the Thor lightening rod which is manufactured by a Chinese company.